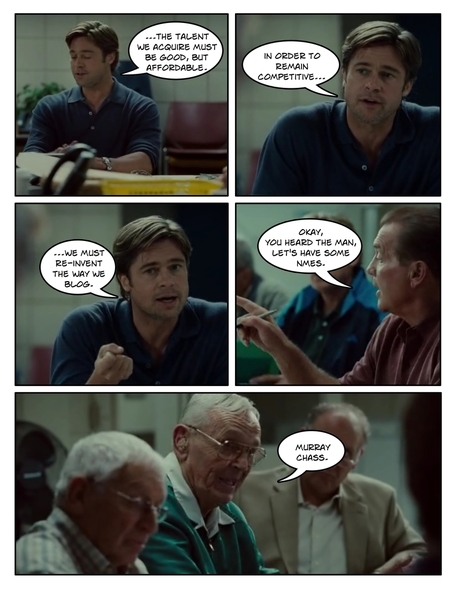 Billy Beane should have never written this comic strip. That paid off really well. And using saran wrap to take off 21 kilos of wrinkles.